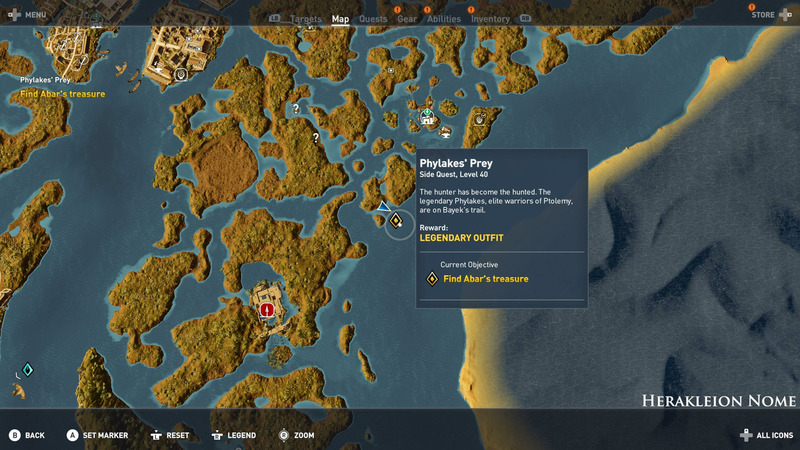 Where to find all the Phylakes for the Phylakes’ Prey side quest in Assassin’s Creed Origins. 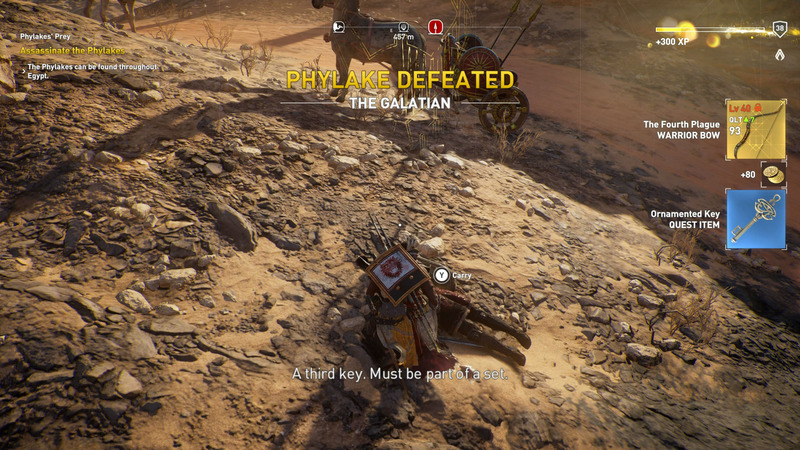 Assassin’s Creed Origins brings back the classic mechanic of hunting down extremely powerful enemies in the form of Phylakes, Ptolemy’s elite warriors. 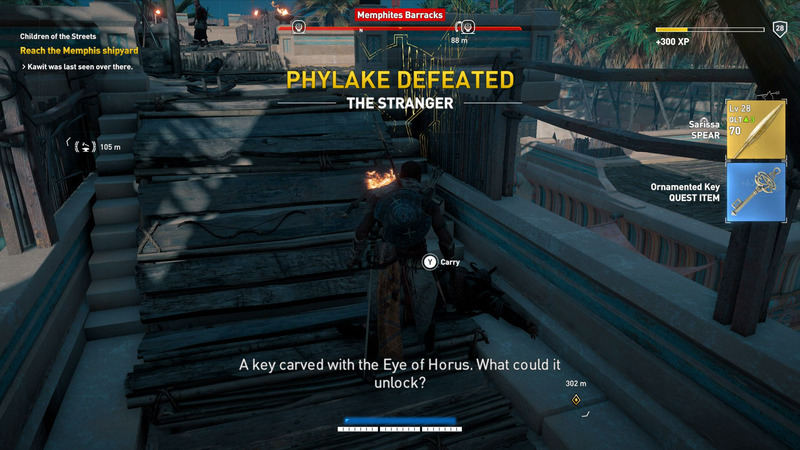 Each Phylake is monstrously strong, drops a Legendary weapon, and is necessary in finding all Ornamented Keys – but it can be tough finding the location of all Phylakes. 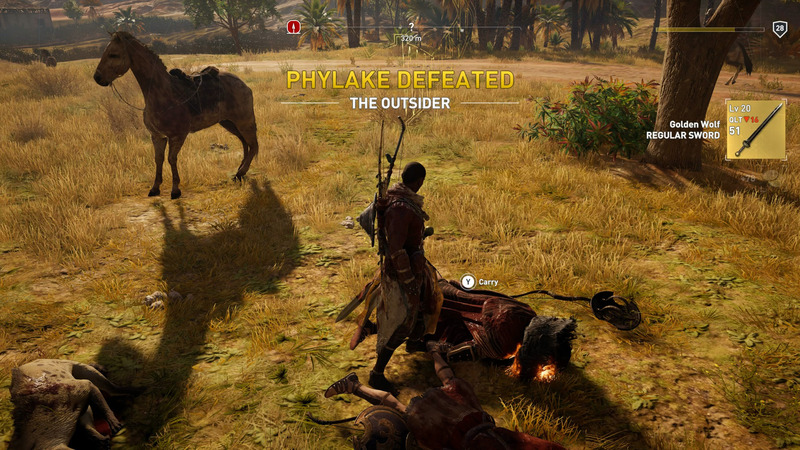 Below are all ten Phylakes that you will need to hunt down and kill in order to complete the Phylakes’ Prey side quest in Assassin’s Creed Origins. 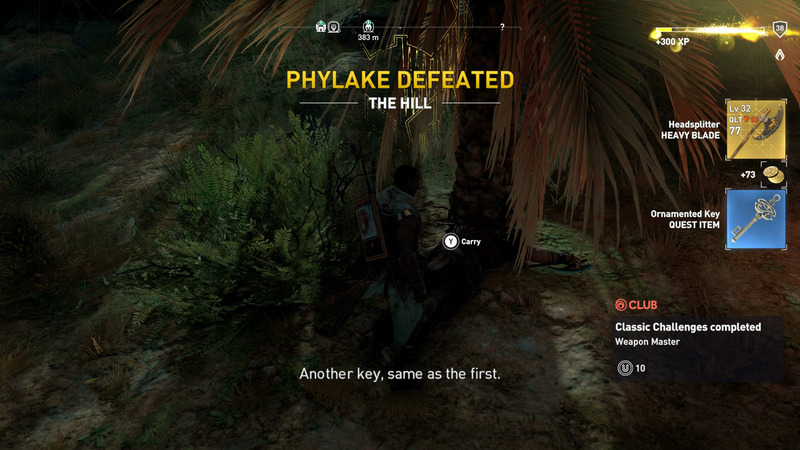 Each Phylake has a recommended level at which you should attempt it. Depending on your skill level, you can either wait until you’re the same level or try your luck when you’re a few levels below them. You’re free to kill them in any order, whether that’s all at once when you reach Level 40 or one at a time as you’re leveling up. Though, it's important to kill them all, especially if you want to find all the Ornamented Keys in the game and claim your Legendary outfit. The Outsider typically patrols around Alexandria. Killing him rewards the Golden Wolf short sword. This Phylake fights using a small parry shield and a shortsword, and is exceptionally fast at landing power attacks. The Golden Wolf has 2/4 Critical hit Damage, 4/4 Critical Hit Rate, and Health on Kill. 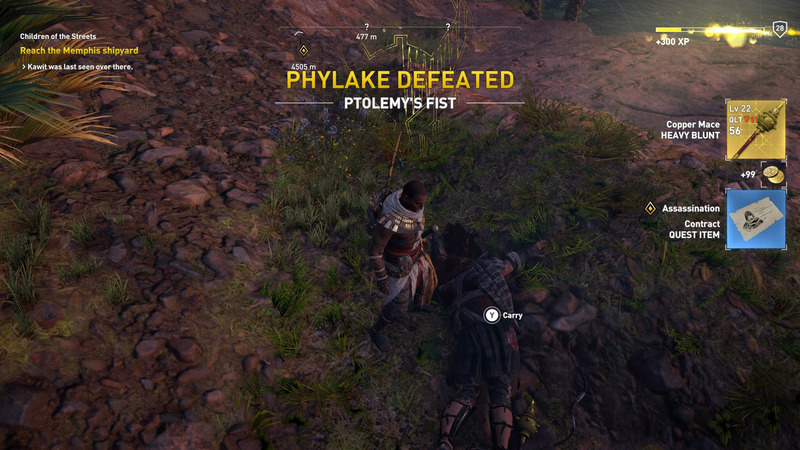 Ptolemy’s Fist is usually located in Sap-Meh Nome and drops the Copper Mace when killed. The Copper Mace offers 4/4 Adrenaline on Kill, 1/4 Combo Multiplier, and Health on Hit. The Iron Ram can be found in Ineb-Hedjet Nome. Smoke and Mirrors is a Legendary Predator bow that has 3/4 Stealth Damage, 2/4 Critical Hit Rate, and shoots arrows that are on fire. The Stranger can be found in Memphis and uses a tower shield, spear, and short blades to attack you. For me, The Stranger dropped an Ornamented Key. When killed, The Stranger drops Sarissa, a Legendary Spear with 3/4 Critical Hit Damage, 1/4 Adrenaline on Kill, and is one of the powerful Cursed Weapons. The Hill is located in Faiyum Oasis. Headsplitter is a Legendary Heavy Blade that has 3/4 Adrenaline on Hurt, 2/4 Adrenaline on Kill, and Health for Critical. 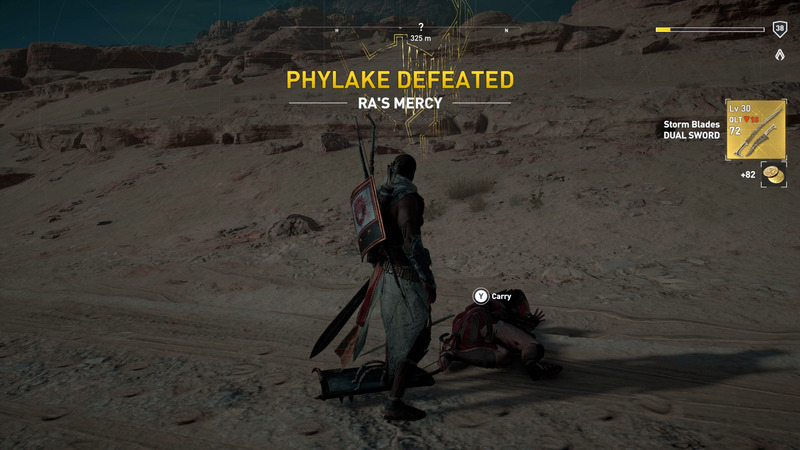 The Ra’s Mercy Phylake can be found patrolling Faiyum. For killing Ra's Mercy you'll receive Storm Blades, a Dual Sword type that offers 3/4 Adrenaline Regeneration, 2/4 Critical Hit Rate, and their power attack can be charged instantly. Bane of Hathor is located in Haueris Nome. Deathstorm is a Legendary Hunter bow that has 4/4 Charging Speed, 2/4 Adrenaline on Kill, and shoots arrows that are on fire. Half Horn is another Phylake you can find, located in Im-Khent Nome. 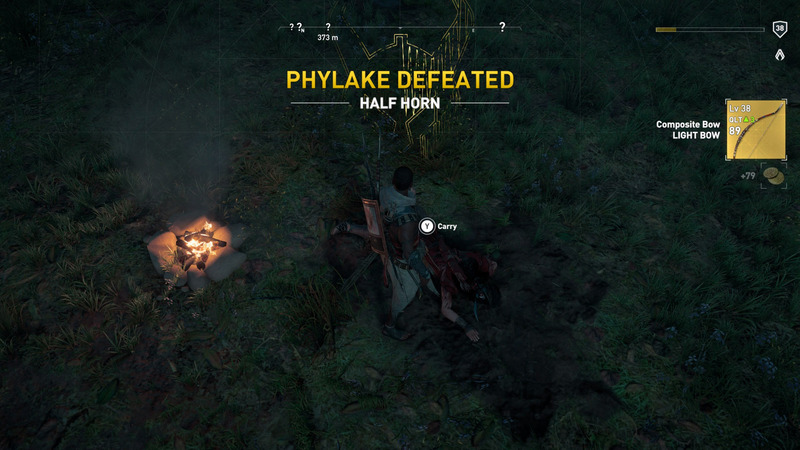 With the Half Horn Phylake defeat, you will earn the Composite Bow, a Legendary Light Bow with 4/4 Rate of Fire, 2/4 Adrenaline on Kill, and Health on Hit. 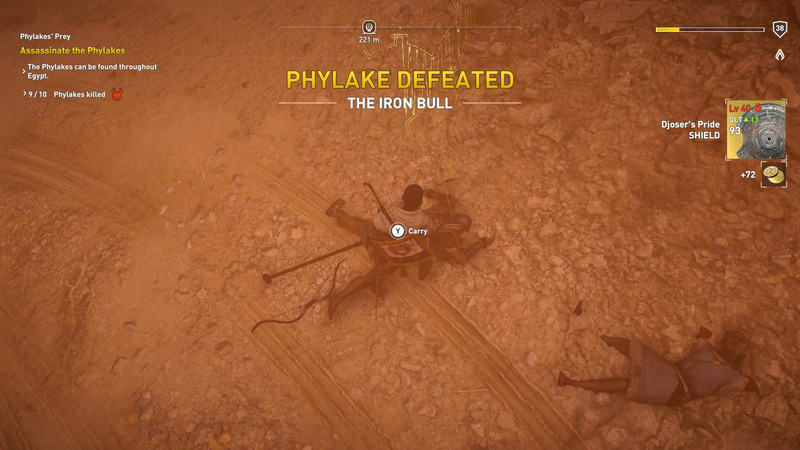 The second last Phylake, The Iron Bull, is located in the Isolated Desert. Once The Iron Bull is confirmed dead, you will receive the Djoser's Pride Legendary Shield. This shield has 2/4 Melee Resistance, 3/4 Damage Absorption Value, and Sleep on Block. The final Phylake is found in the Isolated Desert. With The Galatian killed, you will earn the Legendary Warrior Bow, The Fourth Plague. This bow has 4/4 Precision, 2/4 Critical Hit Damage, and Health on Hit. 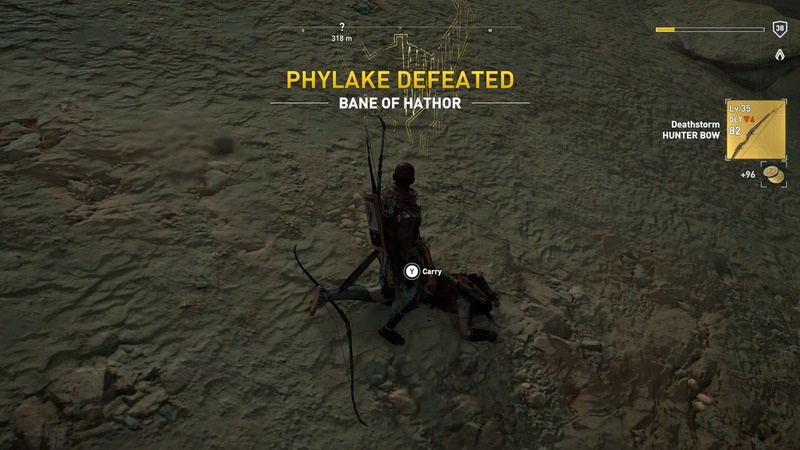 Once all the Phylakes are killed, you will need to complete the next part of the quest which takes you to Herakleion Nome to speak to a lady. This lady will ask you to kill some crocodiles, and when that's done, she will give you the fourth and final key and tell you the location of the sunken treasure. 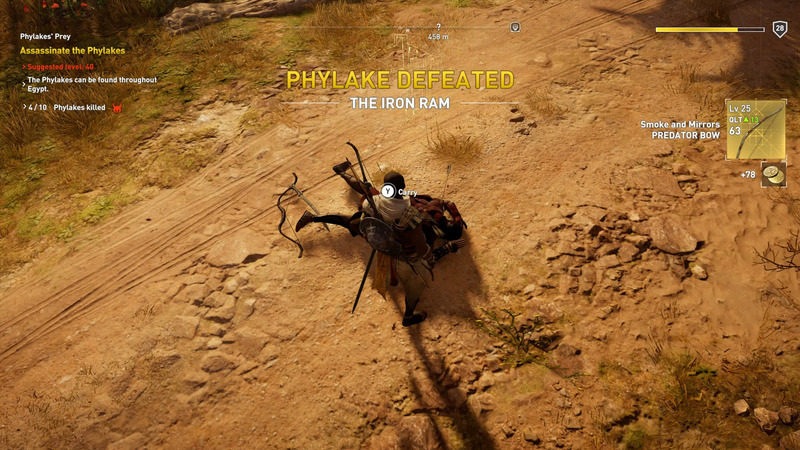 While they’re exceptionally difficult to kill, it’s worth taking the time to hunt down and assassinate all the Phylake in Assassin’s Creed Origins. Be sure to check out our guide on all Stone Circles and how to get silica.